SOLD OUT. Tickets for seating in the front 3 rows will be available at the door at 7 p.m. 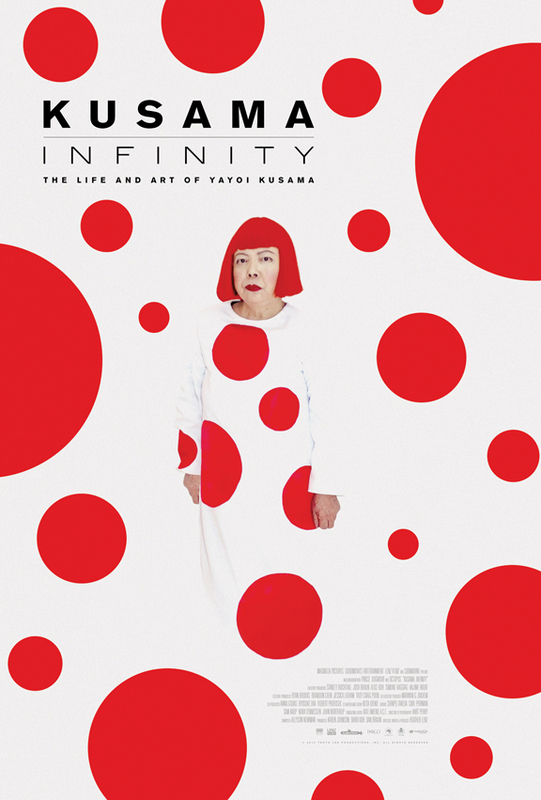 THERE WILL BE AN AFTER-FILM DISCUSSION WITH TRINITY SINGER WHO LED DOCENT TOURS FOR THE KUSAMA EXHIBIT AT THE BROAD. Now the top-selling female artist in the world, Yayoi Kusama was an underdog with everything stacked against her: the trauma of growing up in Japan during World War II; life in a dysfunctional family that discouraged her creative ambitions; sexism in the art establishment; mental illness in a culture where that was particularly shameful. In spite of it all, Kusama has created a legacy of artwork that spans the disciplines of painting, sculpture, installation art, performance art, poetry and literary fiction. After being ignored for decades, people around the globe are experiencing her installation “Infinity Mirrored Rooms” in record numbers, as Kusama, at age 89, continues to create new work every day.